1. Clean your door. 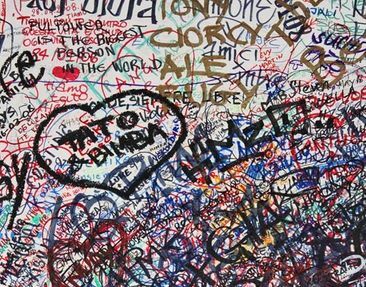 It should be free from oil-based paint, Wallpaper residues, latex and silicone. Disassemble the doorhandle. 2. Stir Wallpaper paste with cold water in a bucket. Stir, stir, stir and then leave it for about 30 minutes to soak. If you are using another paste follow its instruction. 3. 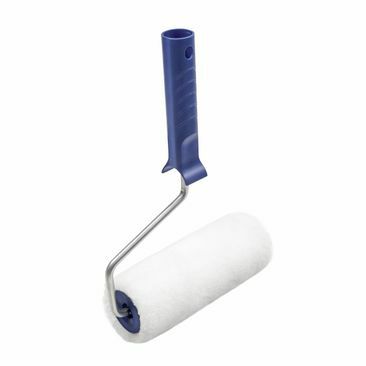 Evenly apply paste to the Wallpaper parts. Note: the parts ordinary expand up to 2cm. Start with one of the center parts. 4. 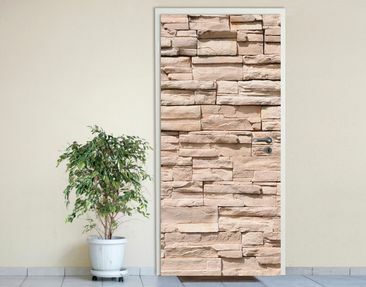 Hang Wallpaper parts to the door from top to bottom. 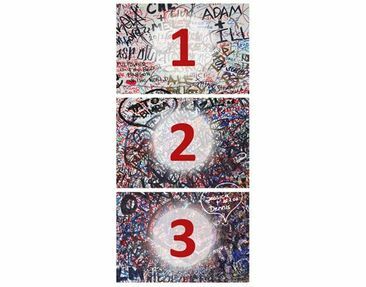 There are numbers on the back of each piece which will help you. 5. 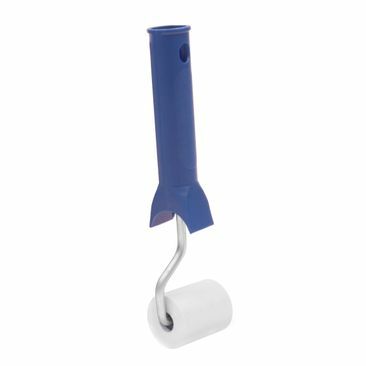 Use a wallpaper-roll to release possibly remaining air bubbles. Roll top to bottom. 6. Do a little cut at the position of the doorhandle and remount it. 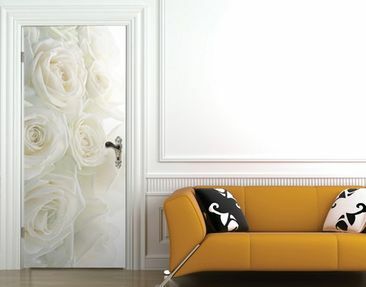 Door murals with glue have been developed to transform your doors into decorative highlights. The large range of motifs offers ample choice to decorate living and childrens rooms, bedrooms as well as kitchens and bathrooms. Additionally small scratches in your door can be optimally covered. 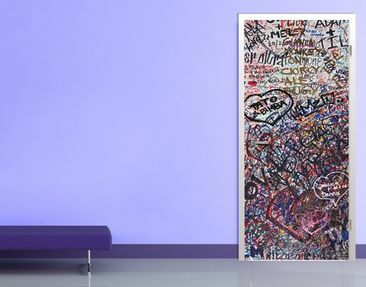 Photo door murals with glue are made of high quality poster paper which is printed with uv-resistant ink providing long lasting colour brilliance. 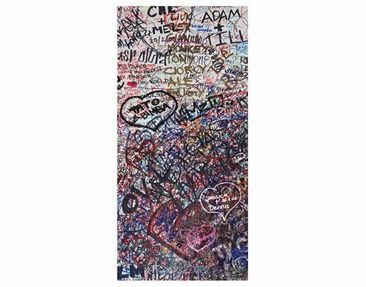 The door murals are easily attached with glue included in the delivery. 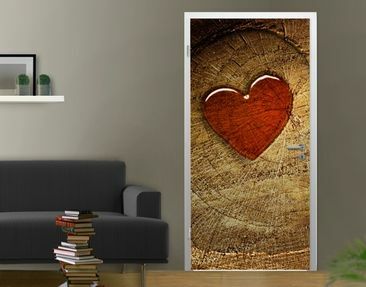 After a short time of soaking the single parts can be put on your door. 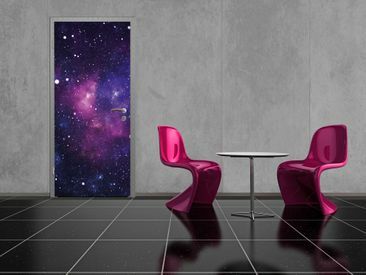 For an optimal result the door has to be clean and free of oil-, silicone- or latex-bearing paints. 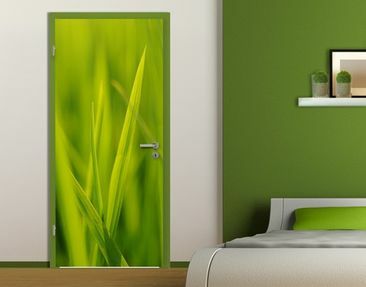 Door murals with glue consist of 3 parts which are applied beneath each other on the door leaf. Overlapping parts on the edges can easily be cut after the mural has dried.